Explore a variety of different traditional printmaking techniques in our professional print studio. 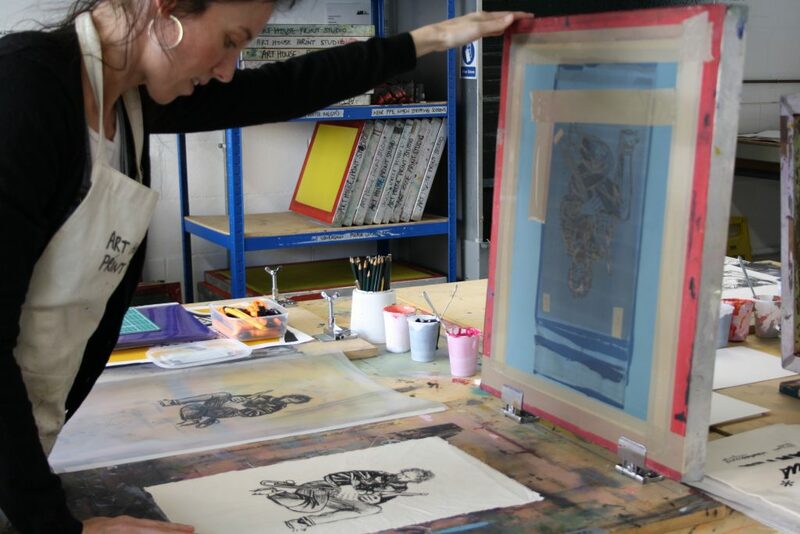 The course will introduce you to the tools, materials and equipment to get started in printmaking. You will be guided step by step through the processes in a friendly studio environment. There will also be an opportunity to explore the techniques you most enjoy and you’ll learn about printmaking terminology and relevant contextual artists. The emphasis is on exploration of the different processes to start your printing journey. This course is suitable for adults who are complete beginners or those who wish to refresh their previous skills. All the processes lend themselves well to simple shapes and patterns so do not worry if you don’t feel confident with drawing. Participants are welcome to continue on the course in order to develop the previous skills they have learned. All tools, equipment and materials will be provided including inks, cartridge paper, lino, screens, monoprinting plastic and collograph materials. Feel free to bring along sketchbooks, images or books for inspiration if you have them.